Our Orthopedic & Sports Acupuncture Clinic in Syracuse, NY differs from many other clinics. We focus on the most modern, up-to-date, science-based techniques. This means that we have modern evidence – in addition to traditional wisdom – in mind when we put together a treatment plan for you. We will select from the most advanced, evidence-based techniques to help restore normal, pain-free movement and get you back to doing the things you love! Neurofunctional acupuncture is a form of acupuncture that is based on our modern understanding of how the nervous system works. It utilizes very low intensity electric current along with the needles. The goal to promote self regulation of nervous system activity, restore proper joint and muscle movement, release natural pain-killing substances,and more. This style is well suited for treating athletes and many other people who experience musculoskeletal problems and pain. Based on your history and a physical exam, we will determine which muscles are weak, which kinetic chains aren’t functioning properly and what else may be going on. The goal is to reduce your symptoms and restore normal pain-free movement. There is also growing body of experimental evidence to suggest that this form of acupuncture can be used to release mesenchymal stem cells. Dry Needling has become popular over the last decade or so. In fact, it is the preferred style of many professional athletes. So what is it and how is it different from traditional acupuncture? Dry Needling is a type of Western acupuncture designed to release Trigger Points. Trigger Points are knots in tight bands of muscle. Basically, they’re little inflammation factories, causing local problems and projecting pain, weakness and other symptoms to distant parts of the body. Normally, in healthy muscles, they aren’t there. However, injury, over training, chronic stress, infections, and many other insults to the body can cause them to form. Dry Needling uses an acupuncture needle – a “pin” – to produce a twitch response from the muscle. This resets nerve feedback loops to the spine and the brain. This helps the muscle be able to squeeze and relax normally. More importantly, it’s been shown to reduce production of inflammatory – pain causing – chemicals almost instantly! The Tung system is a classical system of acupuncture. It was passed down, father-to-son, for at least 2,000 years. The last living member of the family taught the system to several other practitioners, so that it wouldn’t die with him. In my experience,this system works well for pain due to autoimmune conditions, like Rheumatoid Arthritis, especially when combined with Dr. Zhang Wei-Yan’s pulse diagnosis system. I have also had excellent results using it to treat allergies and other conditions relating to the immune system. When you come in for your appointment, we may utilize manual therapies in addition to your acupuncture treatment. Tuina is a system of Chinese medical massage. Historically, it has been closely linked to martial arts and was passed down through apprenticeships. Think about it. The leader who could get his soldiers healthy again the fastest would be more likely to win the next battle. It’s not surprising, then, that tuina is one of Chinese Medicine’s most effective tools to help you recover from a wide variety of musculoskeletal injuries and trauma. Tuina is not your typical relaxing massage; the aim is explicitly therapeutic. It uses active and passive stretching and soft tissue and joint mobilizations, and other techniques that are similar to western myofascial release. Like other sports medicine techniques we use, the goal is to restore normal, pain free movement. Gua Sha is a traditional form of instrument-assisted soft tissue mobilization. It involves rubbing / scraping the skin with around-edged instrument. Usually, I use a specially cut piece of jade. Traditionally, it is thought to improve blood circulation in the muscle and other tissue. It is also used to break up myofascial adhesions in the areas that we treat. Fascia is the “shrink wrap” around your muscles, blood vessels and other tissues. Normally, sheets of fascia slide smooth lyover one another. Injury, over training, inflammation or other causes can cause cross linkages and / or “scar tissue” to form,which prevent normal gliding and elasticity. Gua Sha, along with tuina can help to break up those adhesions and improve mobility. Usually, patients experience immediate improvement in stiffness, pain and movement following a treatment. So Why Choose Our Clinic? Simply put: results. We specialize in treating pain, and improving musculoskeletal function and sports performance. Our goal is to restore normal movement patterns, reduce neurogenic inflammation and help you feel and move your best. 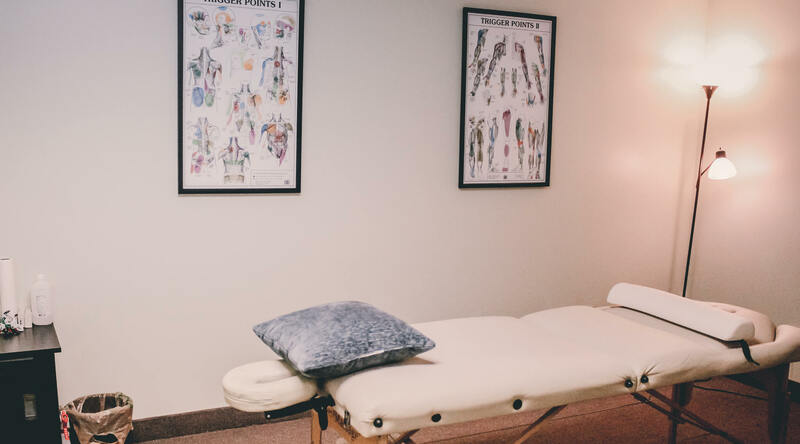 We successfully treat patients of all ages and skill levels, from professional athletes to weekend warriors; children to great-grandparents; office workers to law enforcement and members of the military. We combine modern, science based acupuncture techniques, like dry needling, with orthopedic and manual muscle testing, tuina and other soft tissue techniques. This lets us tailor your treatment specifically to you. We believe that everything is connected. Injury, dysfunction or muscular imbalances in one part of the body can cause pain or dysfunction somewhere else. By looking at the big picture, we can get to the root of why your are in pain or what is holding you back from your performance gains. Above all, everything we do is driven toward helping you reach your health goals. Call us today at (315) 935-5700 to book your appointment. © Copyright Orthopedic & Sports Acupuncture. All Rights Reserved.